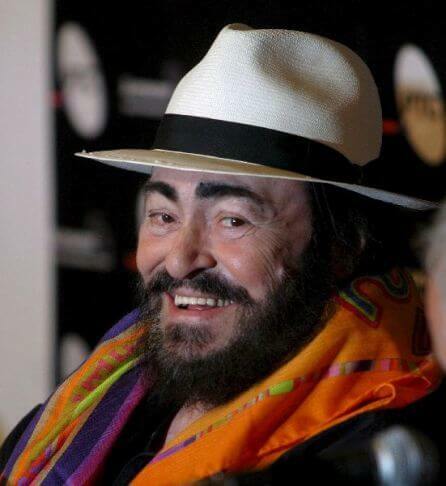 On October 12, 1935 Luciano Pavarotti born in Modena (Italy), one of the most famous contemporary singers. Its dramatic tenor conditions, not only allowed him to succeed in the world of opera, she appeared opposite Plácido Domingo and Jose Carreras in The Three Tenors group, their forays into pop style songs and above all his concerts in aid to the others, have made him one of the most beloved singers in the world. Since 1994, Pavarotti organized under the name of Luciano Pavarotti & Friends, these concerts annually to raise funds in aid of children and men around the world. From 1994, Pavarotti organized under the name of Luciano Pavarotti & Friends, these concerts annually to raise funds to help children and men around the world. In these concerts were involved artists like Queen, U2, Bon Jovi, Deniece Williams, Zucchero or Natalie Cole among others . Especially for one of those events that he celebrated to raise funds, specifically for the one celebrated in the year 1998 in Modena in aid to the children of Liberia, Stevie Wonder composed the song "Peace Wanted Just To Be Free". A beautiful ballad as a duet performed in two languages, along with that other great teacher of music always will be Luciano Pavarotti. A great man in all senses, whose disappearance by pancreatic cancer on September 6, 2007, was a blow to the good of humanity.